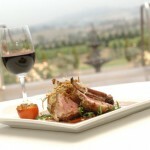 Food and Wine Festivals in and around Brisbane for the months January to end June 2013. Starting with the Ginger Flower and Food Festival with the Italian Week in June. The Ginger Factory at Yandina will come alive for a weekend-long Ginger Food & Flower Festival, surrounded by Australia’s largest and most colourful range of ornamental gingers and heliconias. Popular chefs, gardening celebrities, artists and entertainers will fill the festival program, alongside celebrity chef Dominique Rizzo of Channel Ten’s ‘Ready Steady Cook’ fame and Linda Brennan, Ecobotanica’s organic gardening and food guru. The Gold Coast kicks off the 2013 Food & Wine Expo, which continues down to Canberra and Newcastle every year. 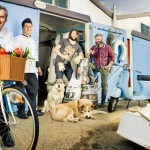 After a big year in 2012, celebrity chefs, pop up restaurants and market stalls, gourmet food, wine, spirits and cocktails will be on the agenda for this year’s event. The streets of Chinchilla, the Melon Capital of Australia, will be awash with melon madness as part of the bi-annual Chinchilla Melon Festival. Festivities include melon tossing, melon skiing, melon ironman and melon bullseye. For those who aren’t as keen to be wearing melon by the end of the day, there is a street parade, market stalls and cooking demonstrations to keep you entertained. Celebrating its 15th year in 2013, the South Burnett Wine & Food In The Park Festival showcases the best of Queensland’s newest food and wine region. 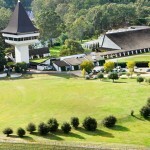 Visitors can taste test local fare, washed down with wines from the South Burnett’s multi-award winning wineries. Take your pick from the variety of market stalls or dine out at the ‘Sample The South Burnett’ silver service dinner. Ten hours of non-stop live music and popular street entertainers will keep the day buzzing. A day out for the whole family, the Kenilworth Cheese, Wine and Food Fest celebrates the best produce from the renowned Mary Valley. There’s cheese making demonstrations for the foodies, a Cheester Egg Hunt for the kids and a cheese-rolling competition for the young at heart. Nosh your way through a wide variety of local produce including nougat, fresh fruit and vegetables, pizza, fruit wine, port and liqueurs, dessert sauces and Turkish, German and Japanese fare. Innisfail celebrates the produce of the tropical north with a strong focus on rare and exotic fruits of the region. During the festival, enjoy food events, farm trails, art, photography and cooking competitions and don’t forget to attend the huge market day extravaganza on the final day of the festival. 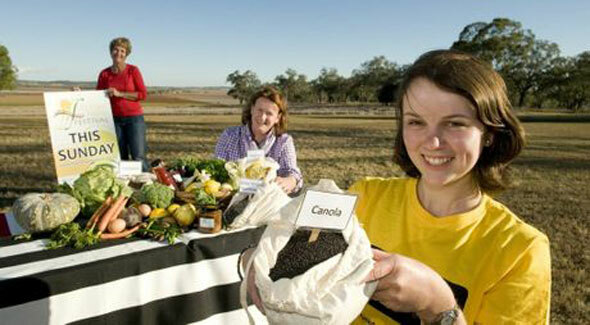 The Felton Food Festival is back for its second year in 2013, just 30 minutes southwest of Toowoomba. Celebrity appearances include chef Alistair McLeod, who will be leading cooking demonstrations and competitions, and gardener Costa Georgiadis of SBS TV’s ‘Costa’s Garden Odyssey’ fame, who will be sharing his knowledge and enthusiasm for home-grown cooking. What began as a popular pastime between two friends has become one of South East Queensland’s premier cultural events. Since its inception the black tie charity event, has raised almost $1 million for charity and continues to offer world class performers, award-winning wines, a sumptuous sit down lunch and a gala dinner dance. Drawing crowds of 15,000 in 2012, the Caxton Street Seafood & Wine Festival is one of the most highly anticipated events in the Brisbane foodie calendar. Cars are kept out of the street to make way for a full day of live music; market stalls serving up fresh seafood cooked every way imaginable, and special menus from the restaurants along the strip. Returning with the most impressive program yet for its 10th anniversary, the Noosa International Food & Wine Festival continues to celebrate Noosa as a premier food and wine destination. Not-to-be-missed events this year include the Asian, seafood and hinterland food trails, the theatrical chef’s demonstrations accompanied by the Queensland Virtuosi Orchestra and appearances by celebrity chefs Poh Ling Yeow, Adriano Zumbo and Matt Moran. Embark on a gastronomical tour of Greece at Paniyiri, home to 200,000 honey puffs, 500 kilograms of haloumi and much more. Sample treats from the Aegean, Mainland Greece, Cyprus, Chios, Crete and Rhodes at the 30+ food stalls or join the Greek olive and honey puff eating competitions. There will also be live entertainment including traditional Greek dancing and music, cultural lectures, plate smashing, amusement rides, and fireworks. Support the Darling Downs’ food and creative arts at the annual Hampton Food & Arts Festival. Enjoy sampling local foods and talking with farmers to gain insight into regional food production. Sit in on cooking demonstrations lead by celebrity chefs and enjoy taste sensations from the restaurant, winery and market stalls at the festival. Head to the tropics and get involved in the biggest events to hit Port Douglas each year. Feast at the Longest Lunch, sit seaside under the palm trees and indulge in Food, Wine, A Taste of Port, book tickets to the degustation delight, Palates of Port, and enjoy a packed program of yacht racing, wine tastings, a golf tournament, music festival, and much more. Leave the masher at home and roll a pumpkin down Policeman’s Hill in Goomeri, north of Kingaroy, instead. The competition is fierce, with the chance to take home up to $1000 in prize money! The competitive spirit doesn’t end there, with pumpkin shot put, pumpkin bowls and a competition to judge the biggest pumpkin. Street markets and live music bring the festival spirit alive during this intense one-day event. Embrace and celebrate all corners of Italy with a week of delectable food markets, master classes, film screenings, language lessons and of course, plenty of traditional Italian cuisine! Check the website closer to the date for updates on the 2013 program.